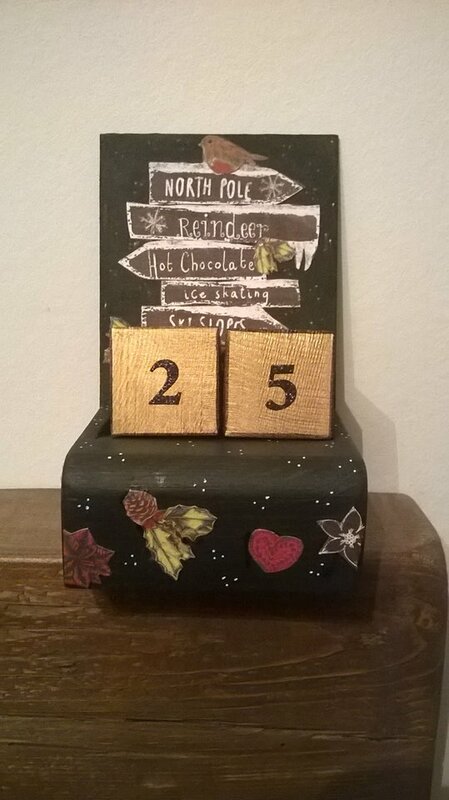 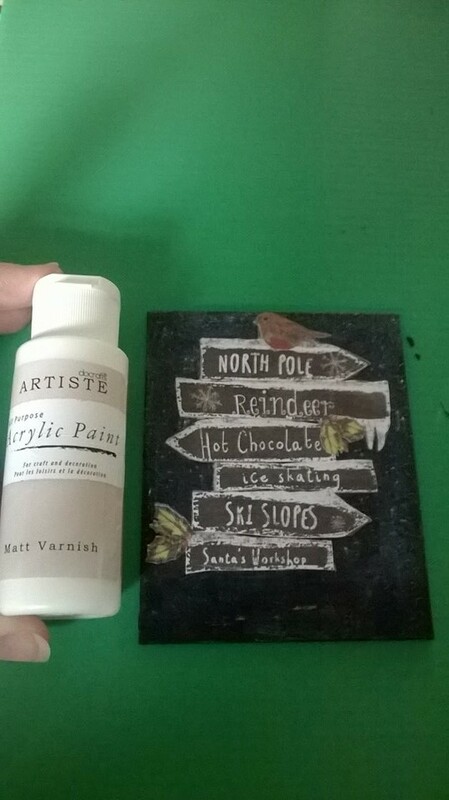 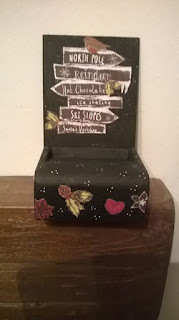 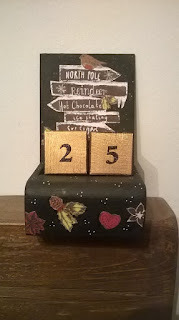 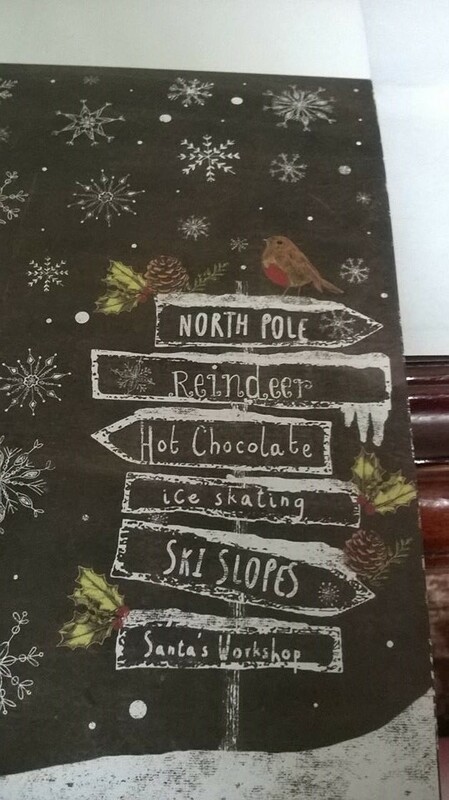 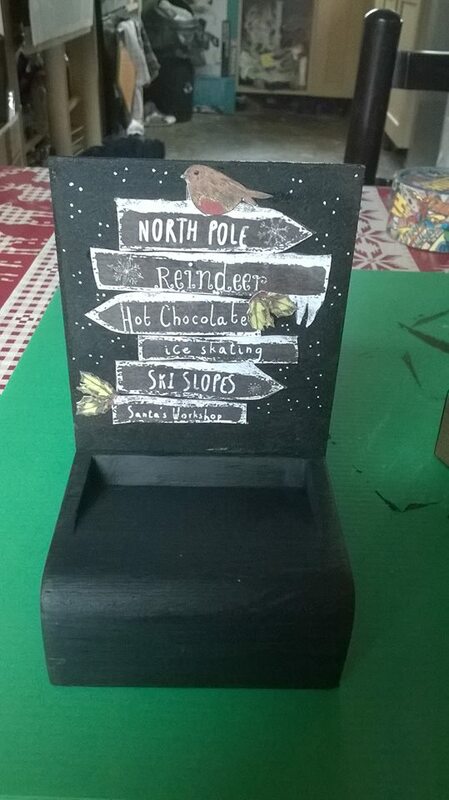 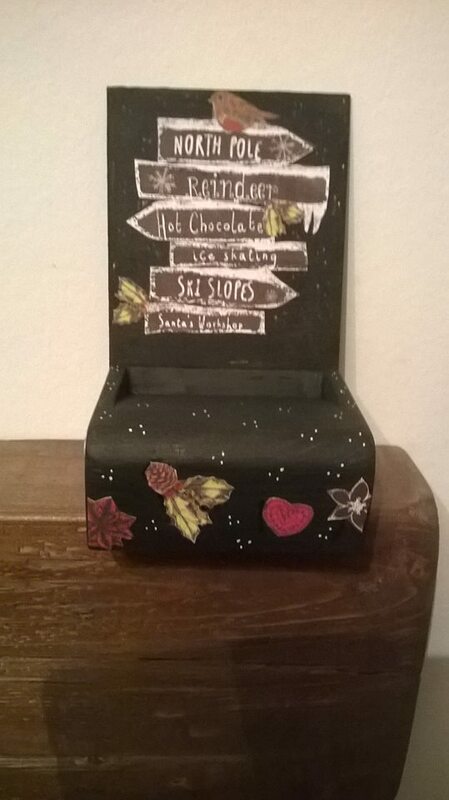 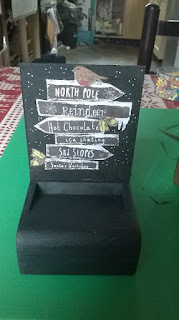 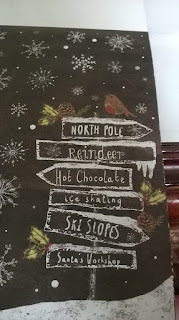 Well I seem to be in the Christmas crafting mood recently and there's no stopping me, I love Christmas anyway but after buying the festive chalkboard kit form Craftwork cards I've gone a bit Christmas crazy. 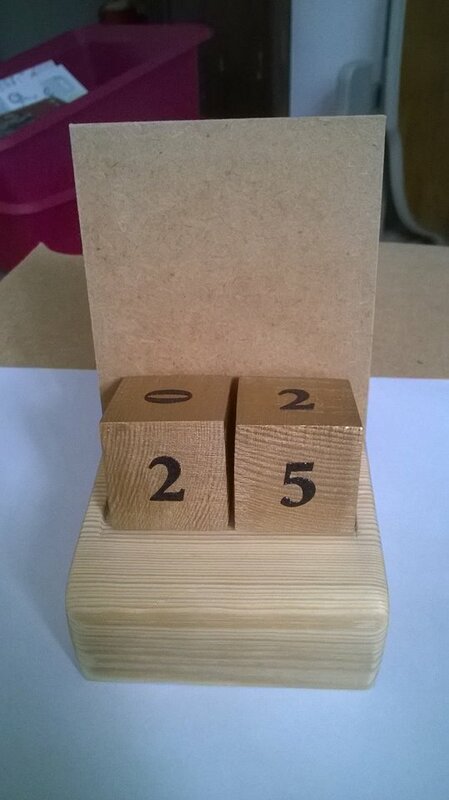 I wanted this to be a project that stood the test of time so decided it should be made from wood but if you wanted to you could make one from another material like polystyrene or sturdy card. 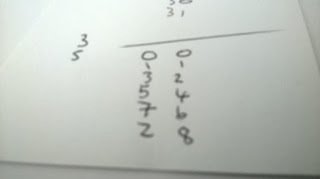 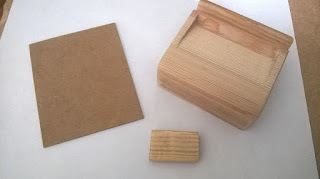 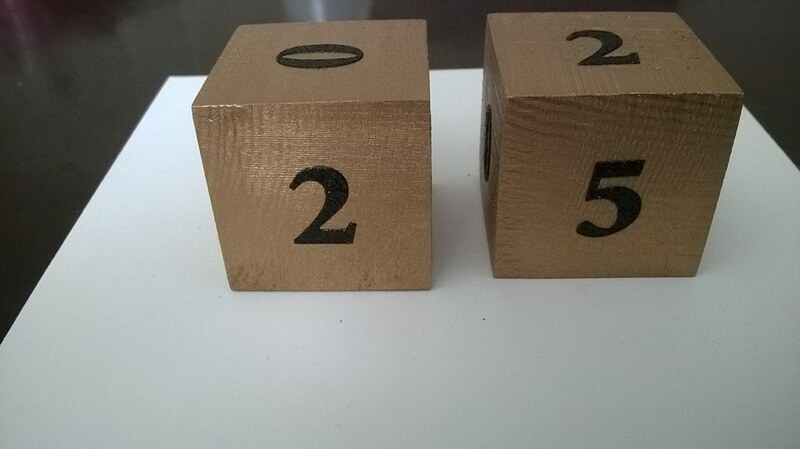 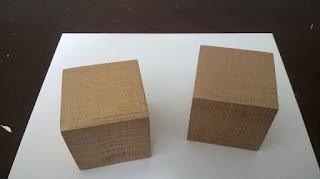 I then cut a block of wood measuring 10x10x4cm, I made a groove in the back for the back board to stand in and then gouged out a slope for the wooden blocks to sit in, this was done with a hammer and chisel, then I sanded them all over. 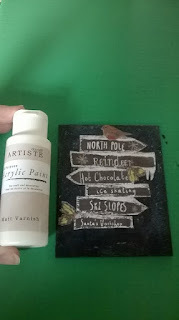 I painted the back board with black paint and cut it out the signs and glued it to the board when dry, for added protection I used a matt varnish as a top coat. 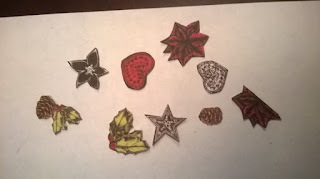 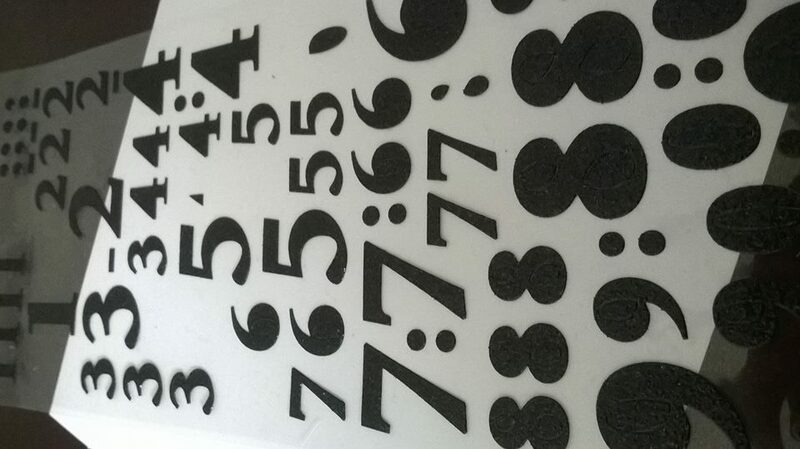 I thought the black base was far to bare and wanted it to match in with the rest of the project so cut some embelishments from scraps of the same paper pad. I know not everyone will be comfortable with a saw or chisel when making this project so I would love to see you own take on it.